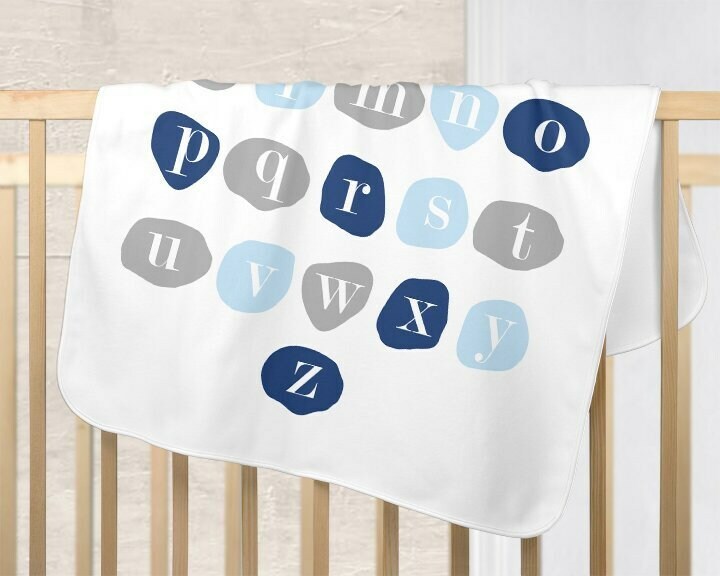 This cozy microfleece blanket in shades of pale blue, denim blue and gray is a perfect baby boy shower gift or new baby gift. 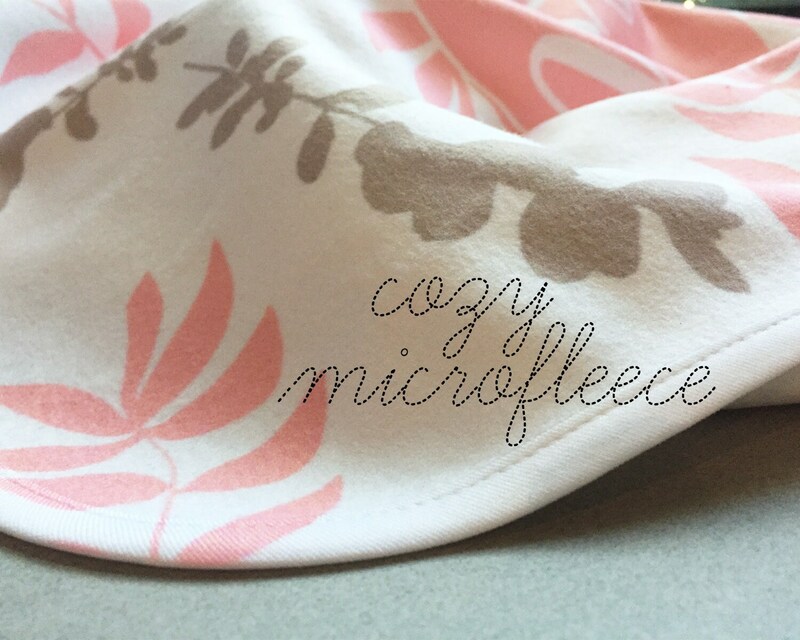 It's a flat fleece with quality details like soft ribbing around the edges, and it's made in the US. 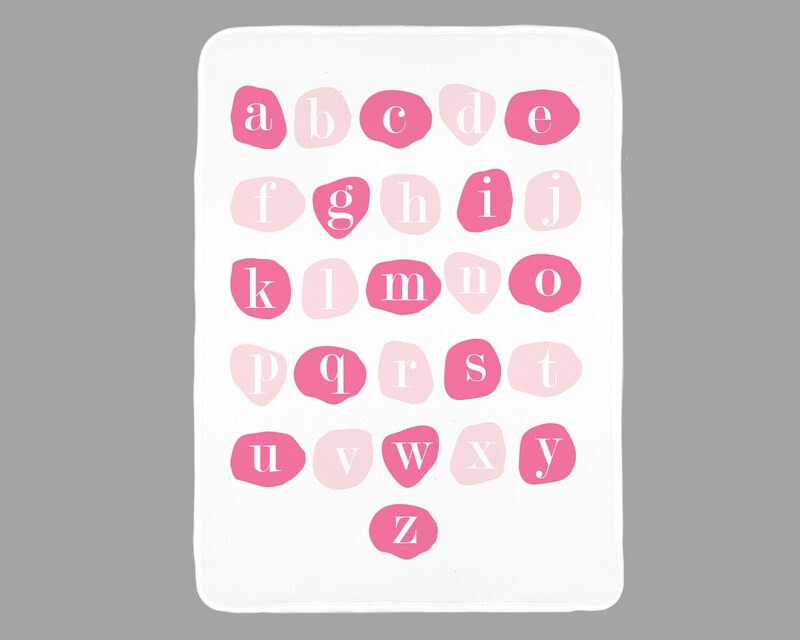 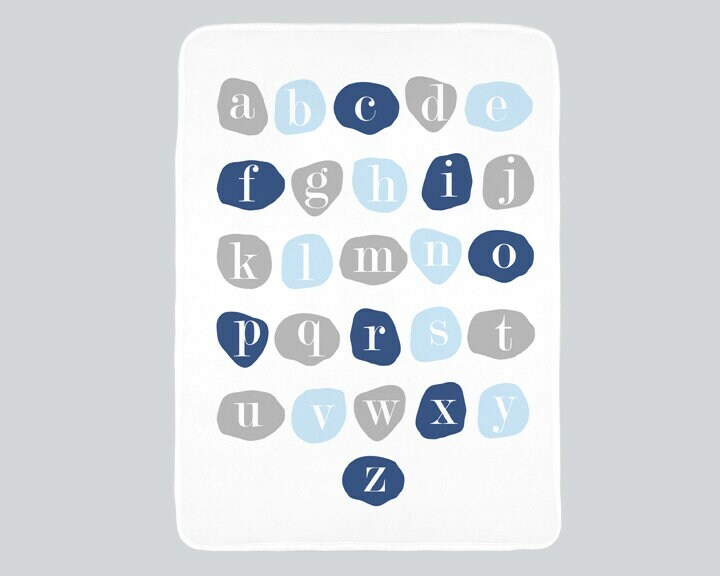 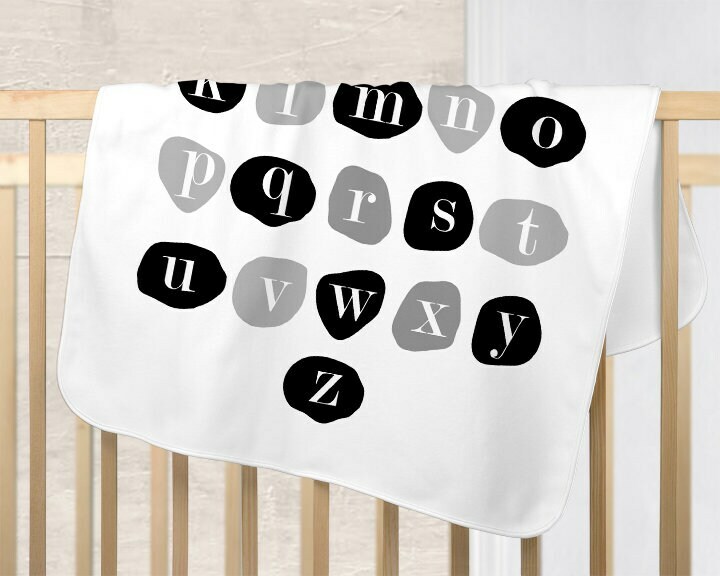 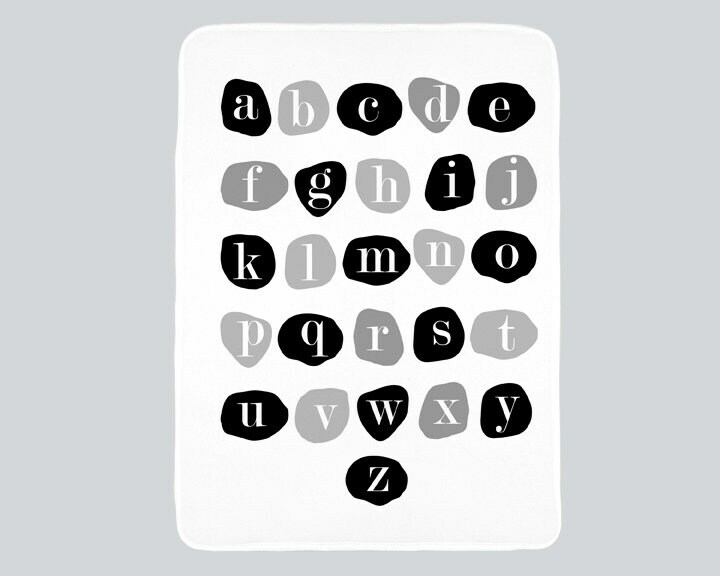 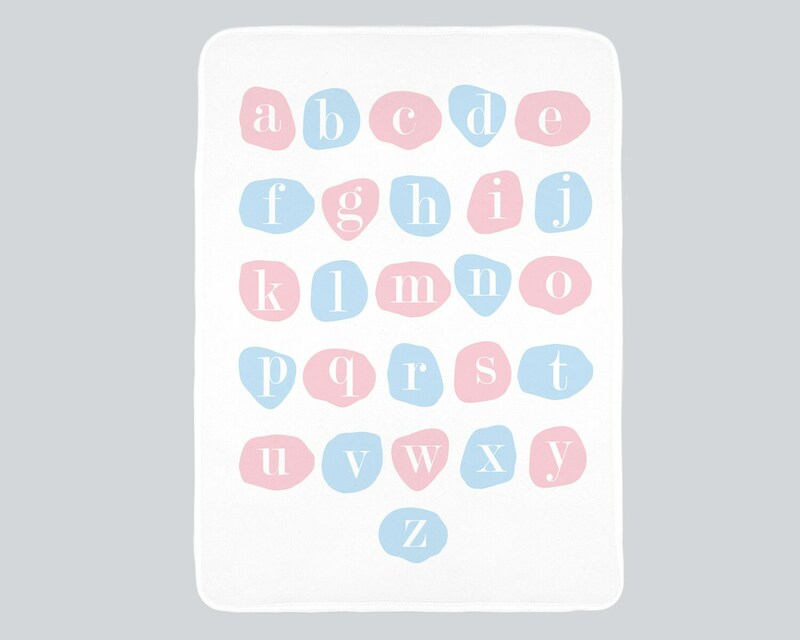 It measures 29x39, a perfect size as a receiving blanket or for a toddler. 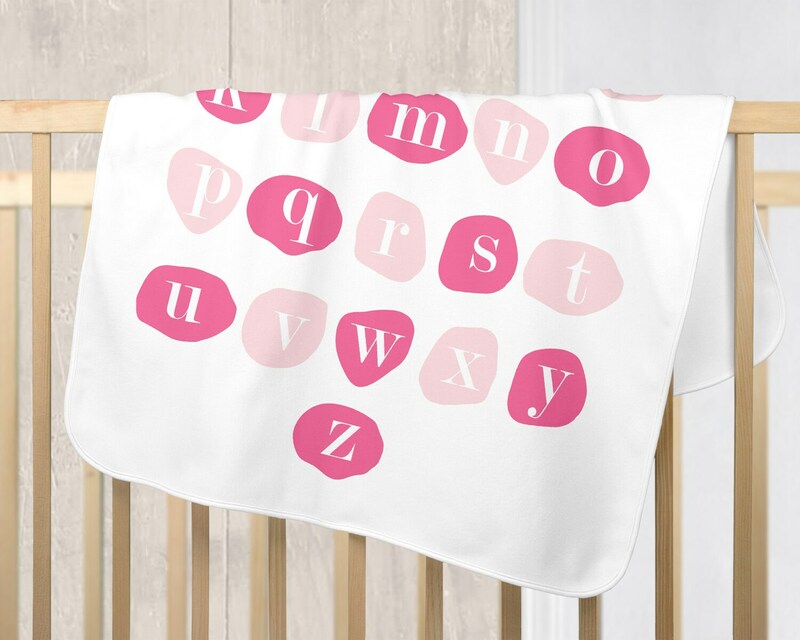 This bold, oversized ABC paint swatch motif was created from my original drawing and is perfect for a contemporary nursery or a toddlers playroom . 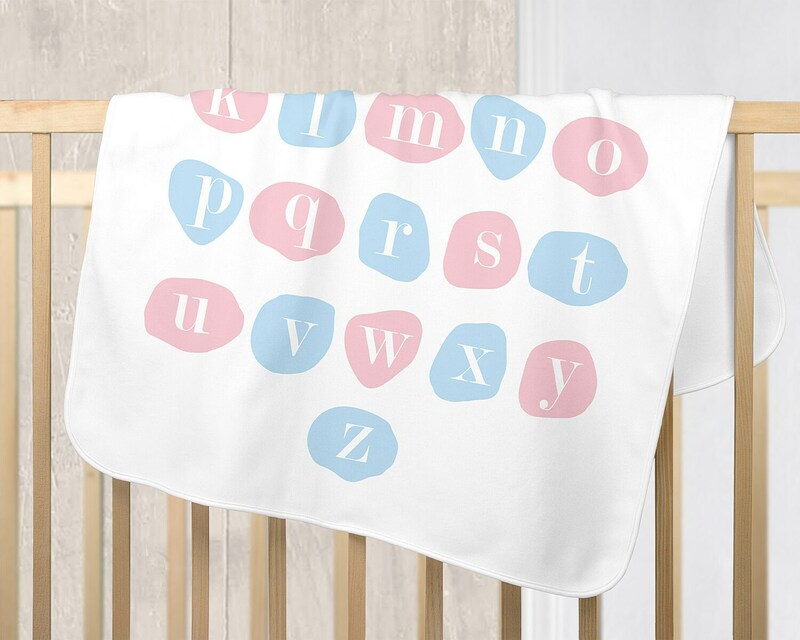 A lovely gift for a new baby boy.